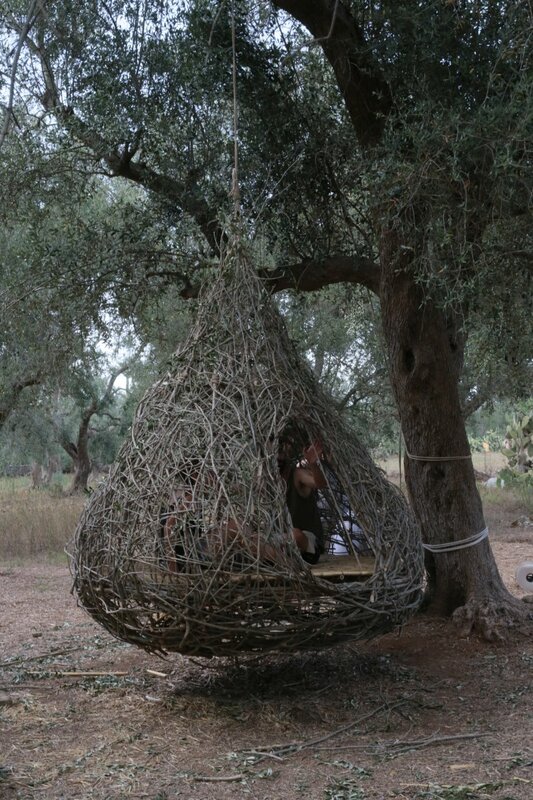 The project poetically explains the shelter idea through an innovative technical solution that proposes the suspension from the ground and the experience of weightlessness. 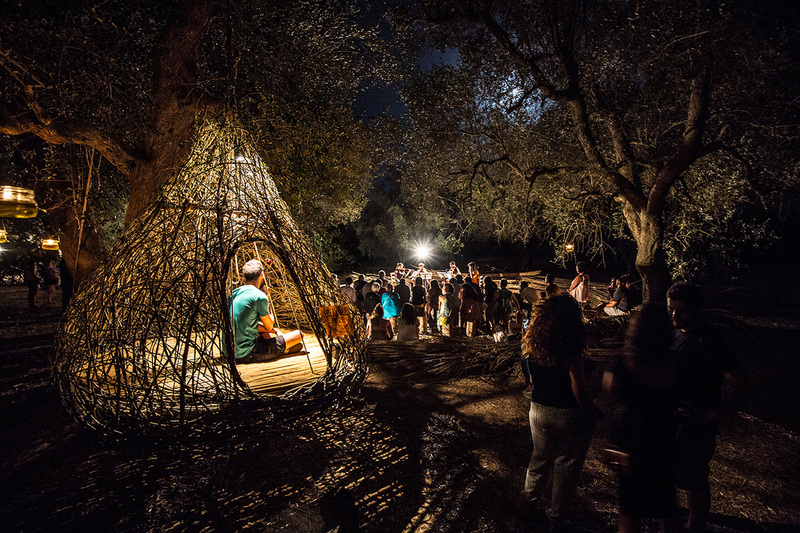 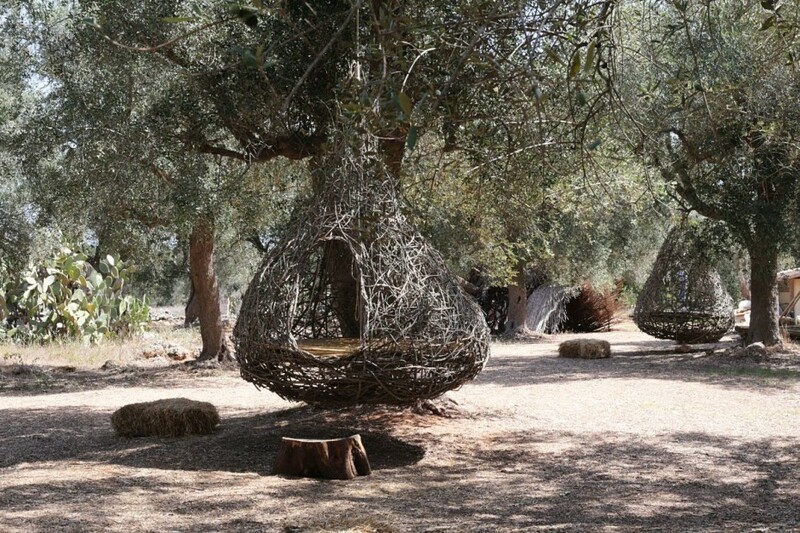 The two shelters connect the idea of ​​living in the olive grove to the processing of its fruits through the metaphor of the olive oil drop (so the name “Nziddha“, drop in local dialect). 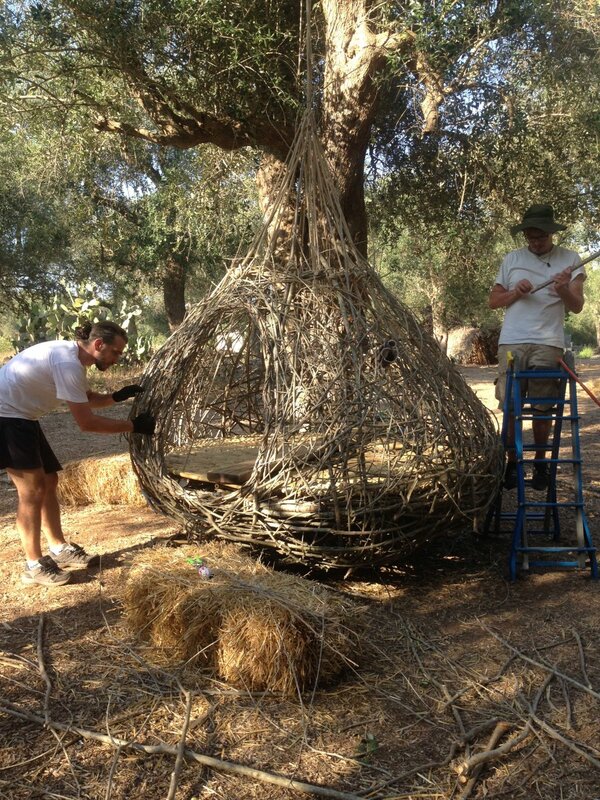 The two shelters are made of olive tree pruning scraps: this choice emphasizes the link with the territory and with the park that hosts them. 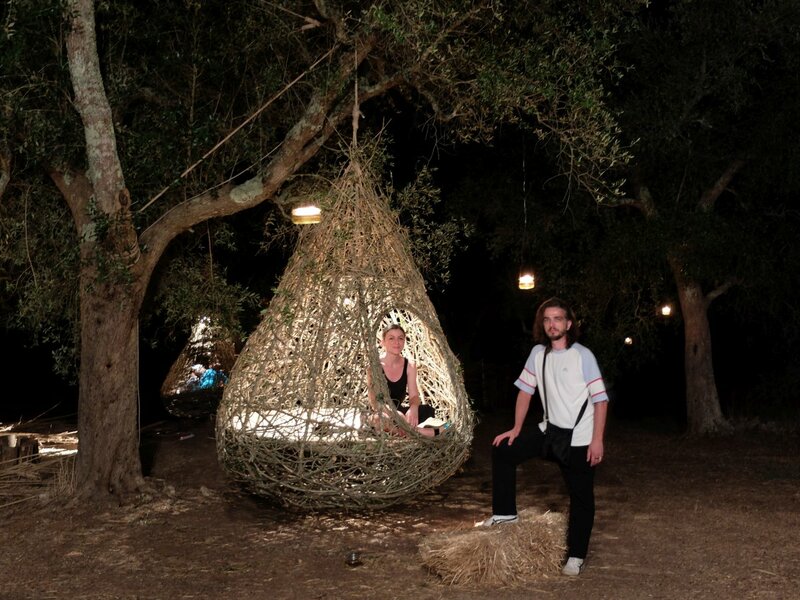 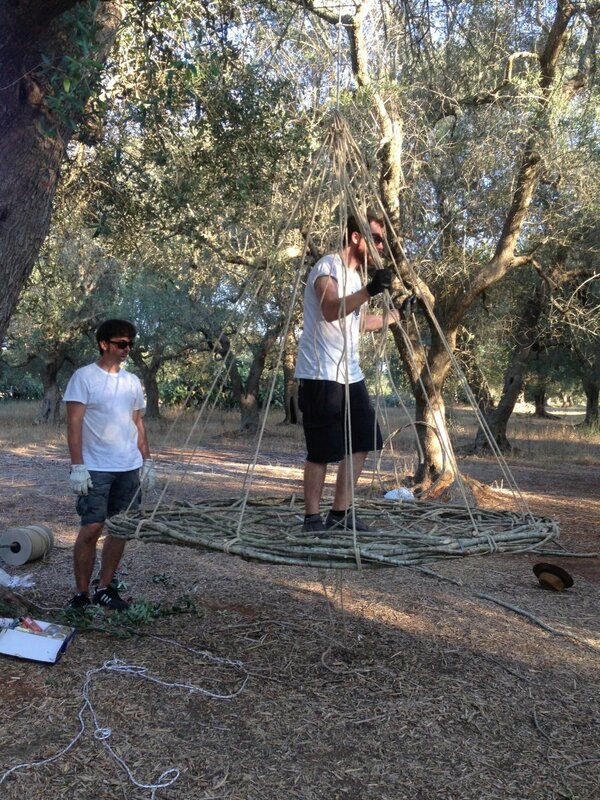 the capability of a suspended structure to hold up the weight of two persons, because of the project nature and the use of natural materials and unconventional techniques. 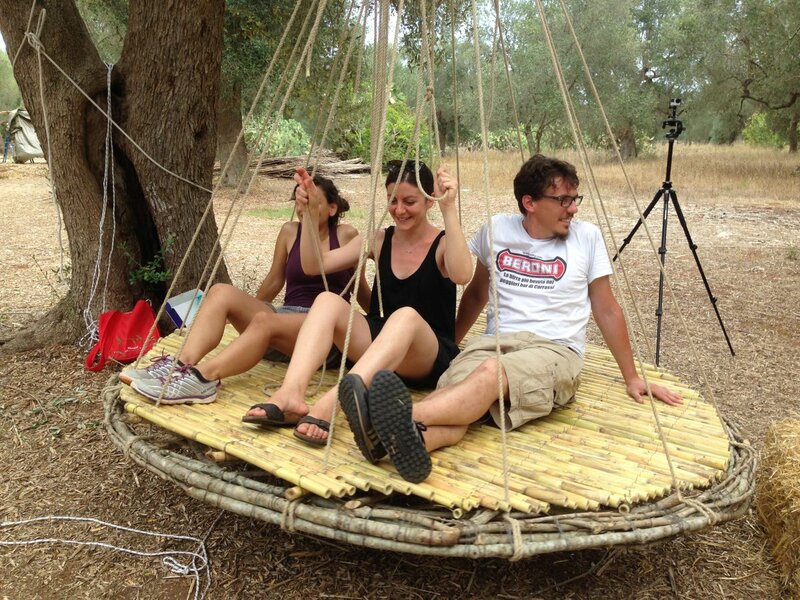 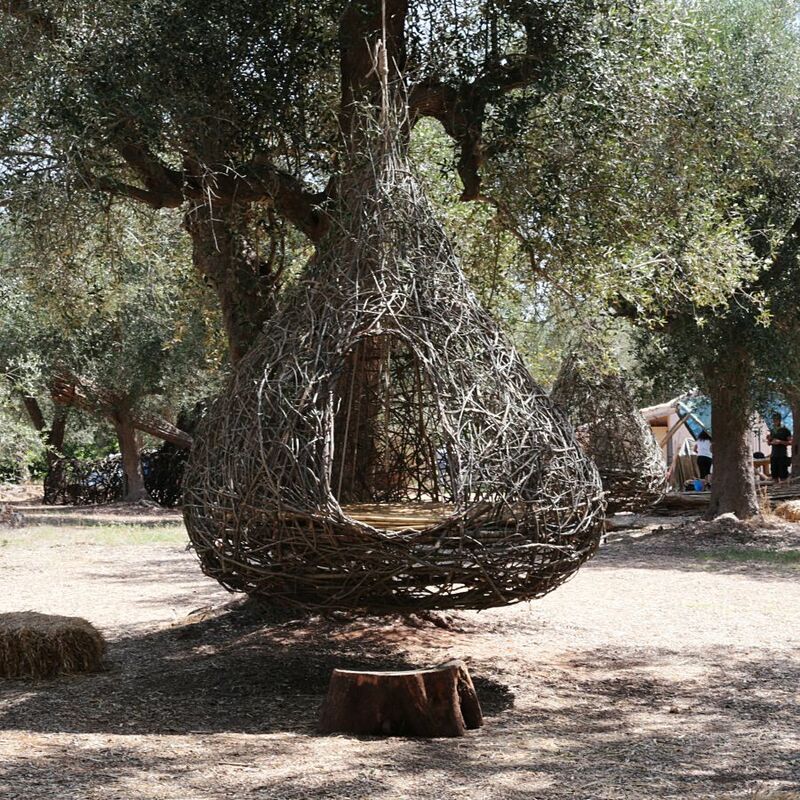 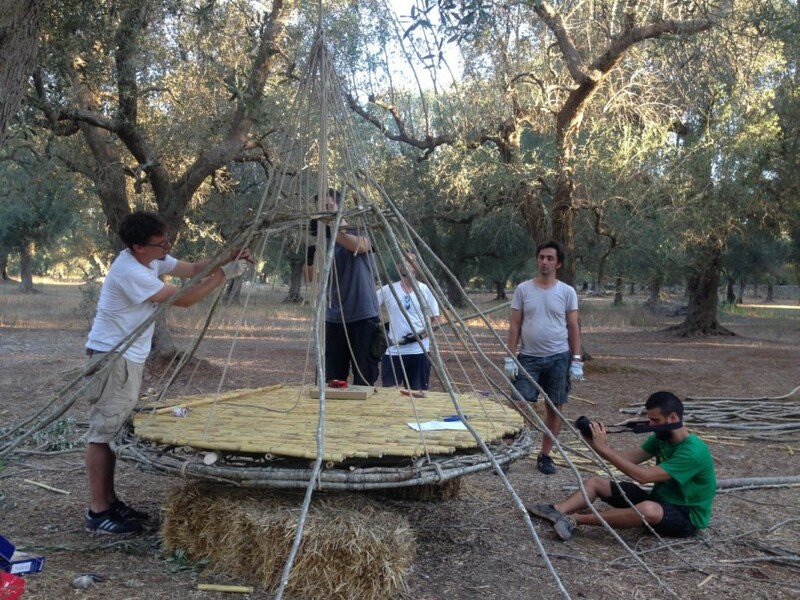 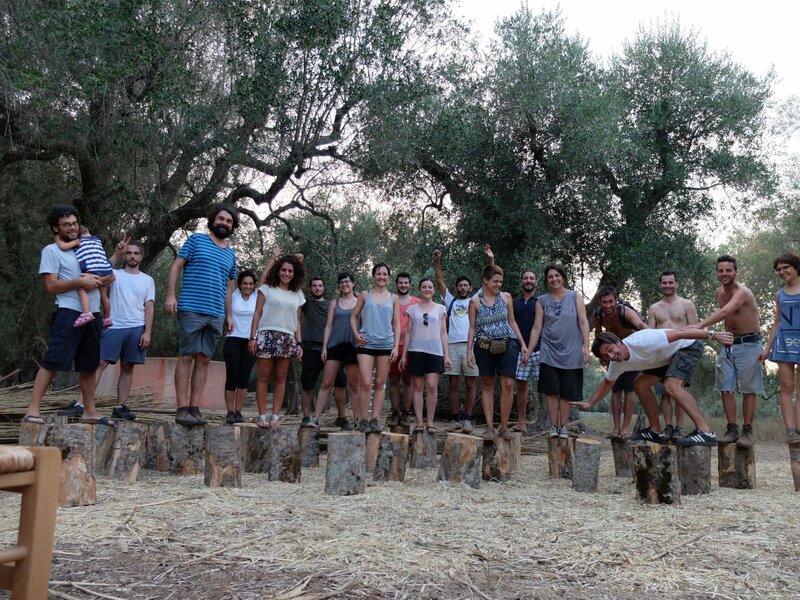 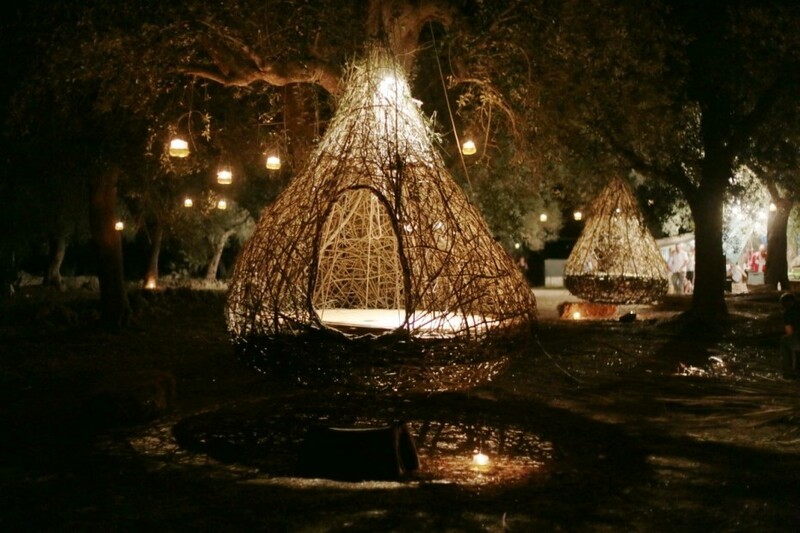 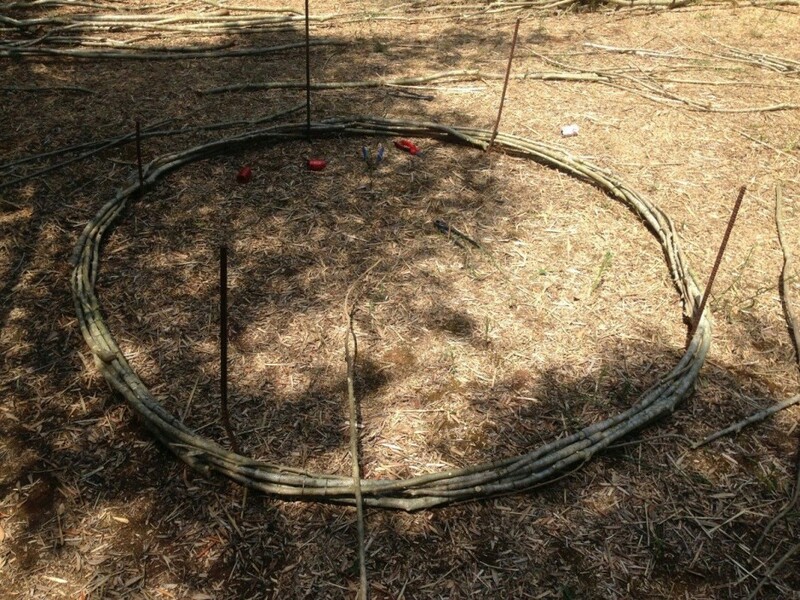 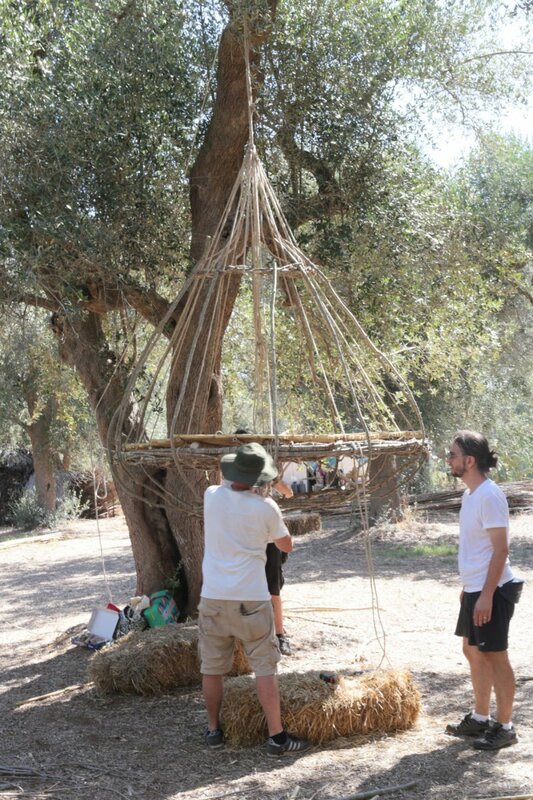 During self-construction workshop, we decided to increase the size of the shelter (the diameter changed to about 2.20m) and to use, for the structure, only olive tree branches instead of “Arundo donax” reeds considered in the project. 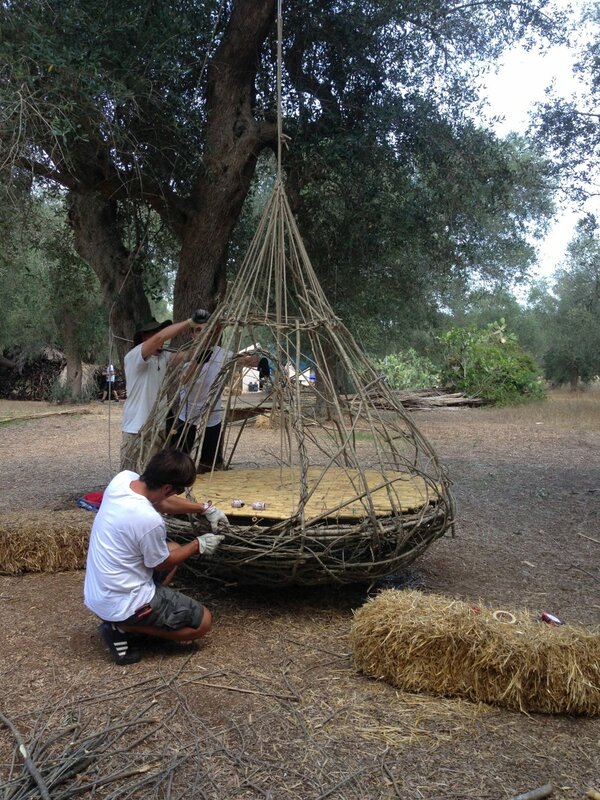 The shelter was suspended from the floor using hemp ropes; we chose bindings and knots according to loads and in order to allow adjustments after the shelter construction. 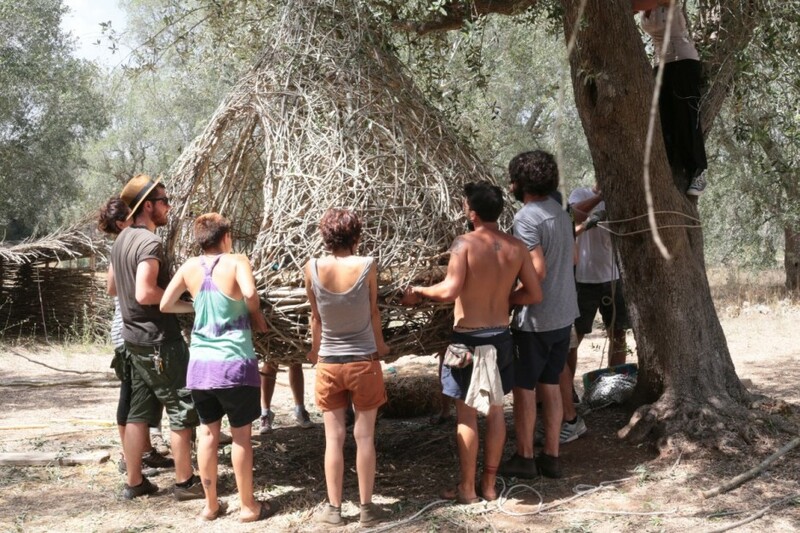 The success of the construction was a combination of design phase quality and the collaboration among tutors, promoters and participants of the workshop, that permitted to solve the problems that emerged.